I see this sort of thing all the time, occasionally I take pictures, have a look at this below. look closely, and compare both pictures, unless you had misfueld at this pump you probably wouldnt have noticed what my last customer had. so lets begin. these are 2 islands in the same station, right next to each other, my customer was filling at one of them, his van was tight against the pump and he couldnt see his own pump island very well, so he looked at the one that was next to him and “drew his pistol” , this is where it went wrong. The high octane pumps colour flash, is grey, but it could also be faded black. I took these pictures to send to the employer of the man who called me, he worked for a small transport company and was driving a brand new van (less than 1200 miles), that was the new pride of the fleet, he was genuinely worried that he might be laid off for what he had done, and opted to pay for it out of his own pocket to appease his transport manager, needless to say the wrong fuel was taken out and the fuel drainage was complete in 30 mins and he was on his way, I e-mailed these pictures to his transport manager and also pointed it out to the station owner. 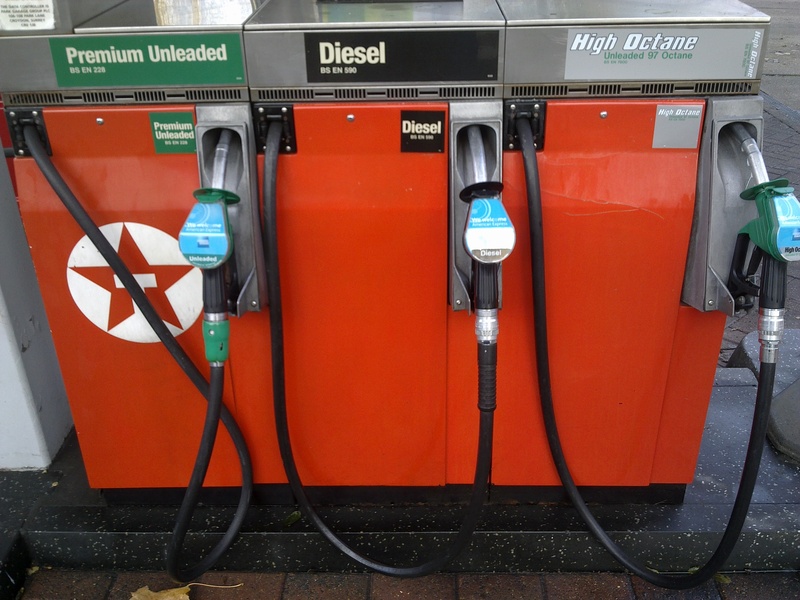 The adverts on nozzles are a whole subject unto themselves, volkswagon ran a campaign recently on petrol pumps and in the text of the ad it said “diesel” this was on petrol pumps! 3) check to see that THE SPOUT END OF THE DIESEL PISTOL HOSE IS LARGER THAN THE SPOUT ENDS OF THE PETROL PETROL PISTOL. THIS IS THE ONLY FAILSAFE method, or if you are driving a petrol make sure it is smaller than the diesel. 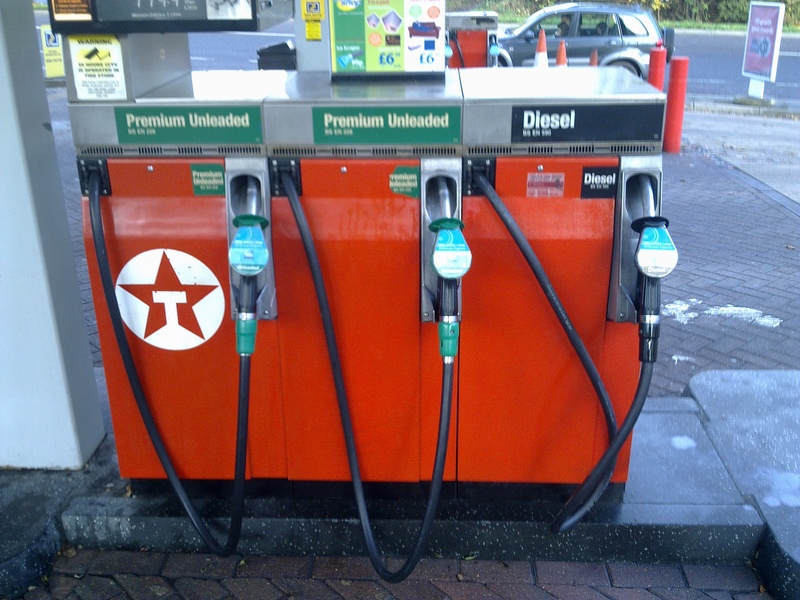 4) if you do this, you will never misfuel, and if you do it will only be because some joker has changed the actual pump handles over.